First day of my week off! So excite. I'll be honest the only thing I've really done is catch up on some much needed sleep. I have terrible insomnia. Good thing I have lots of pretty polishes to keep me company at night. 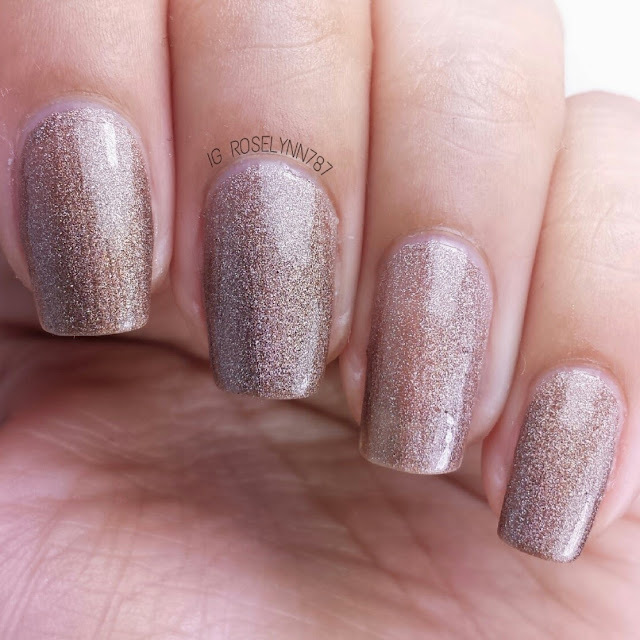 Today I have a new indie to share with you all Aly's Dream Polish. All of Aly's Dream Polishes are 4-free and also cruelty free. In this post I will be showing you guys three holographic polishes from her collection. Get pumped guys cause these beauties are very drool-worthy! Step right this way for a closer look my dears! 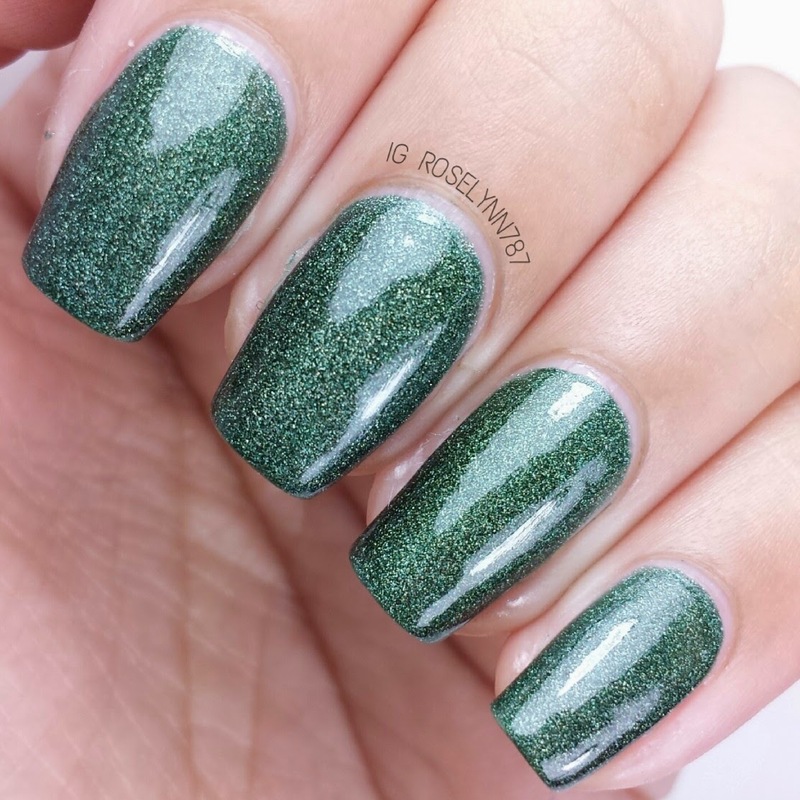 Dark Emerald is a gorgeous dark green holographic polish. In a season of pastels, I was more than thrilled to be swatching some darker colors for a nice change of pace. Dark Emerald is the perfect shade for every occasion and for every season. You cannot go wrong with this shade. The holo is a perfect touch to enhance the dark green! I can see myself wearing this one quite a bit. Swatched over a clear base, used two thin layers, and sealed with Cover Me Topcoat. This polish isn't not sheer in one coat but for better coverage I do recommend adding the second thin layer. Very nice and smooth formula with a nice dry time to boot. Can be worn without a topcoat, as it has a great natural shine, but I do recommend adding one. 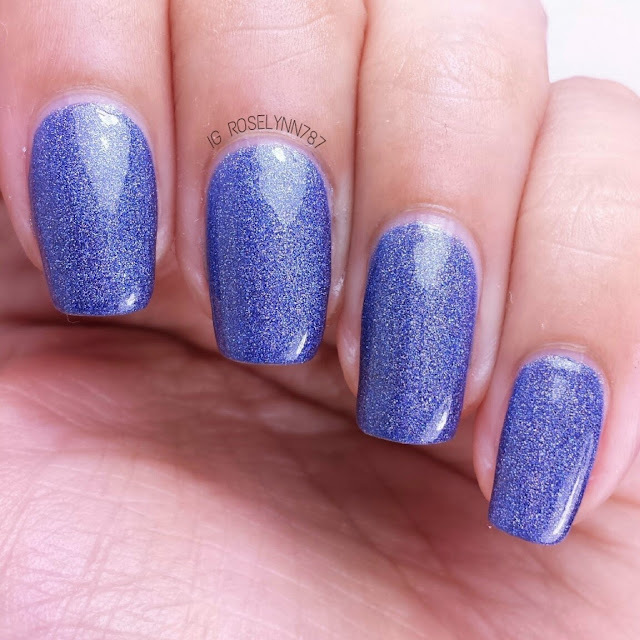 Duchess Blue is a periwinkle blue holographic polish. Periwinkle blue is a color a lot of people seem to shy away from but I actually really love it in this polish. I think the holo goodness is what makes the difference and brings life to the shade. 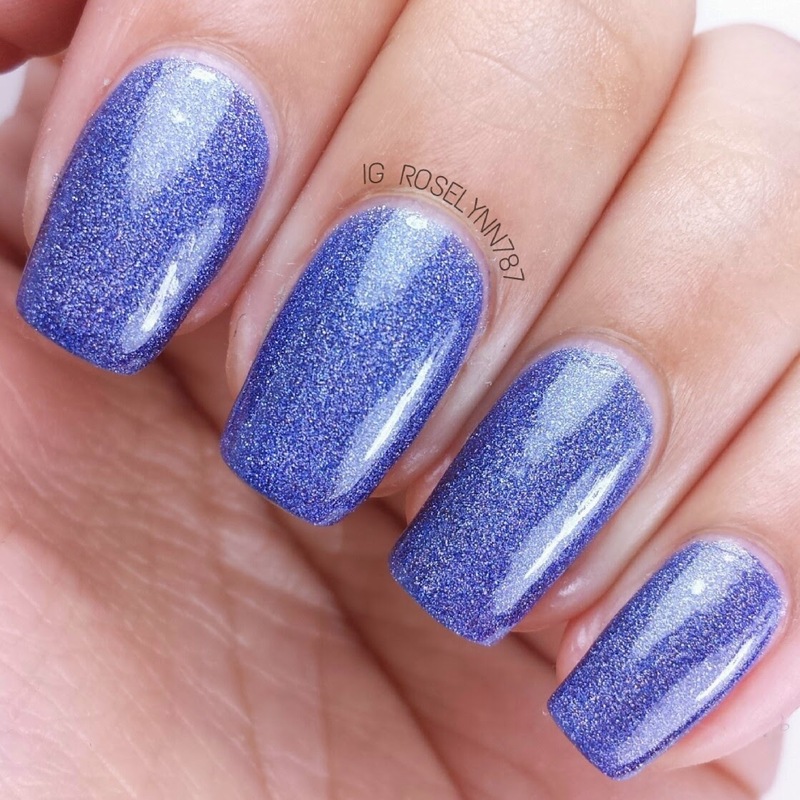 Again, this is one of those polishes that's lovely and perfect for your nails all-year round. Swatched over a clear base, used two thin coats, and sealed with a fast drying topcoat. This one is a little bit sheer with the first coat, add a second or third coat to even it out nicely. Very good formula, didn't give me any trouble at all. Beautiful glossy finish that I enhanced with a topcoat as well. 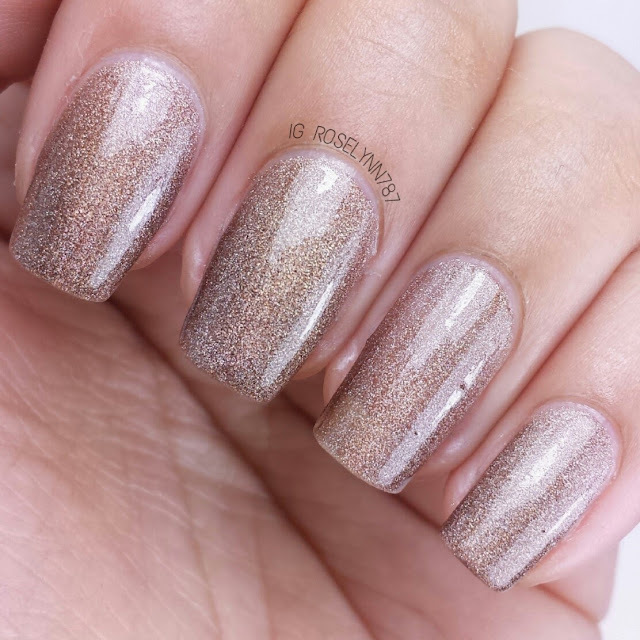 Browncoats is copper brown holographic polish. I'll be honest, this isn't the color I would normally pick for myself. I'm always afraid of how it will look with my skin-tone. I was honestly blown away by how gorgeous Browncoats is. Doesn't it almost remind you of like brown sugar or something? I think this is the first brown polish I actually adore on my skin-tone. You can wear this anytime for any occasion, so much use out of this color. Swatched over a clear base coat, used three thin coats, and sealed with Cover Me* topcoat. It's a bit more sheer than the other two and so I had to use three to four coats in order to have full opacity. Even with that many coats, the formula was very smooth and easy to work with. Overall I'm completely head-over heels in love with every single one of these polishes. All three had an excellent formula and looked surprisingly well on my skin-tone. I can't even pick a favorite because all three were equally great when it came to application and look. Fairly quick dry time and beautiful holo finishes too. What's not to love about these? I definitely recommend checking out Aly's Dream Polishes because she has a lot of holo polishes to choose from. Each polish retails for $12.00 plus shipping. You will not be disappointed with her immense collection, she has a whole rainbow of colors to choose from. See you guys later, time to get some more sleep for me haha.